It seems like the Eggner's Ferry Bridge is in the news a lot. My last post was about a boatiing accident and another post covered one span being knocked into the river. A new bridge is now under construction with work going on at both ends to build the approaches out into the river. 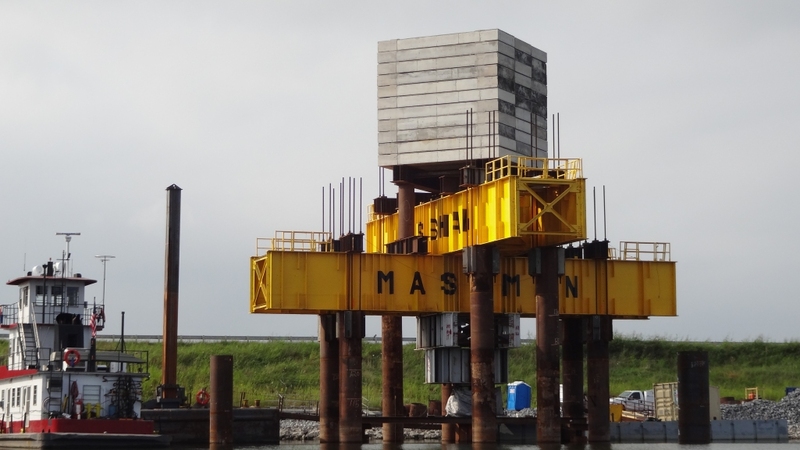 This structure of several hundred tons of weight has been placed on top of a piling. An explosive charge will then be detonated which will cause the load to bounce. Sensors on the piling will then gather data that will be used to develop design specifications for the foundation of the new bridge piers. Thanks to the WestKyStar for this information.